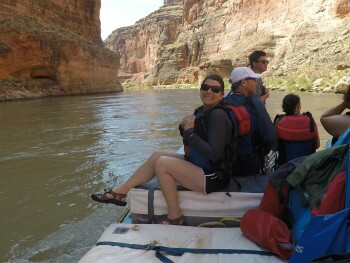 Our 6-day rafting trip down the Colorado River with Wiley and Alora as our guides was simply amazing and I want to do it again with more of my friends and family. Everything was awesome from the camp sites, running the river (Hermit did not disappoint) and how the guides took care of our every need. The food was amazing and the people on our boat were wonderful. We could have asked for a better time.